While we're continuously working on developing the Air Navigation Pro app to be the flight assistant that you need, our support team gathers all your questions and feedback. After that they compile it into a list so that it can be easier for you, our users, to navigate through Air Navigation Pro. 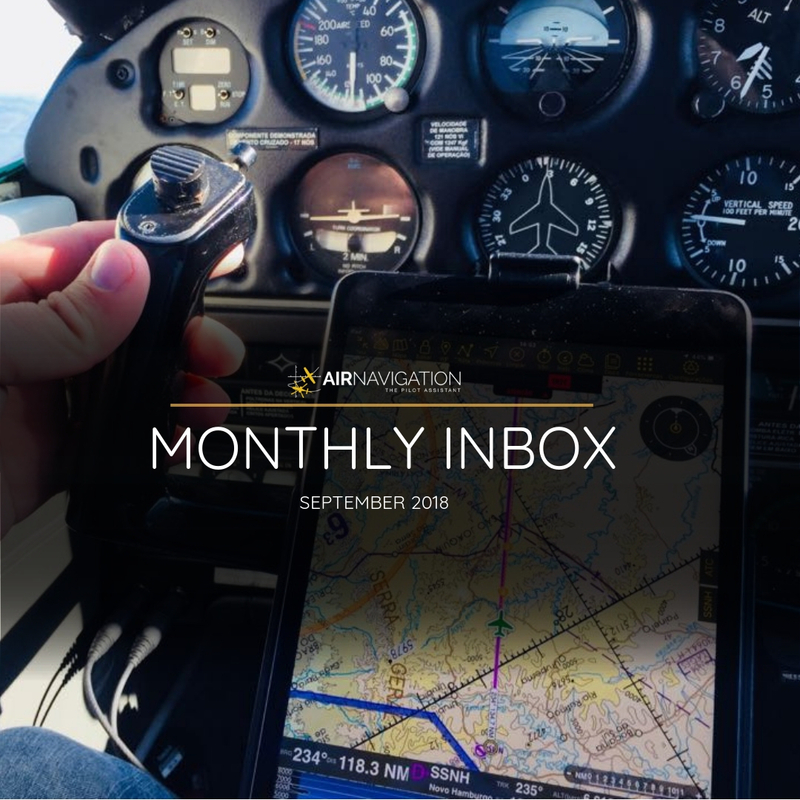 Here's the top questions for the month of September. 1. How do I share my recorded flights? You can share your Air Navigation Pro flight details to your friends and family with options to share via the social media buttons (Facebook, Twitter or LinkedIn) or send thru email. From the app, enable the "Share all flights on the web". This feature is applicable for iOS only. 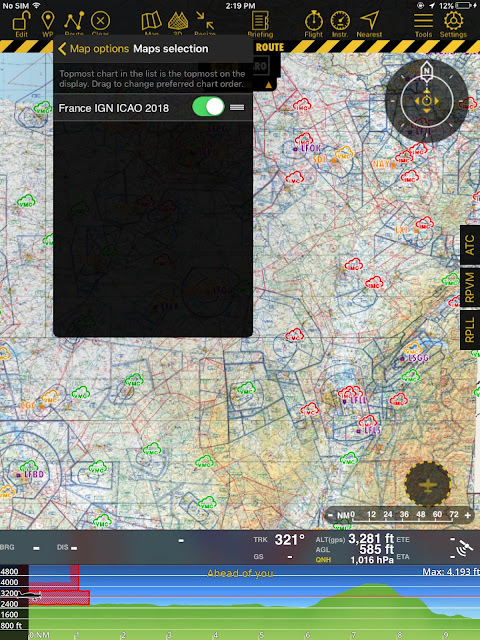 From Live Tracking, select the flight and tap arrow button to get the Live Tracking link or share via social media buttons. 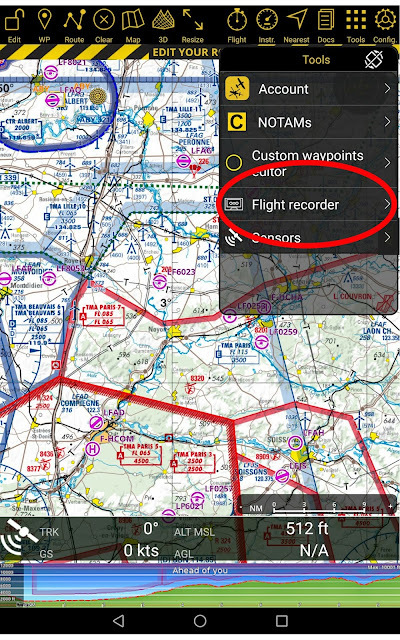 For the Android version, you can share the recorded flights to your Service account. 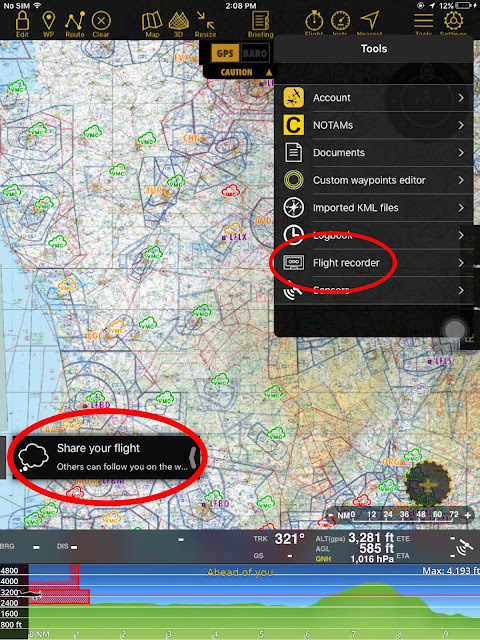 To do so, go to Flight Recorder >> select from the "Recorded Flights" list and tap "Add to Flight Tracking". 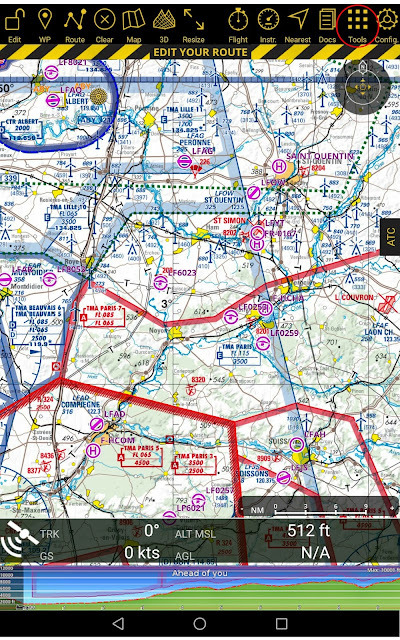 Go to Services website, click Live Tracking and select which flight you want to share. 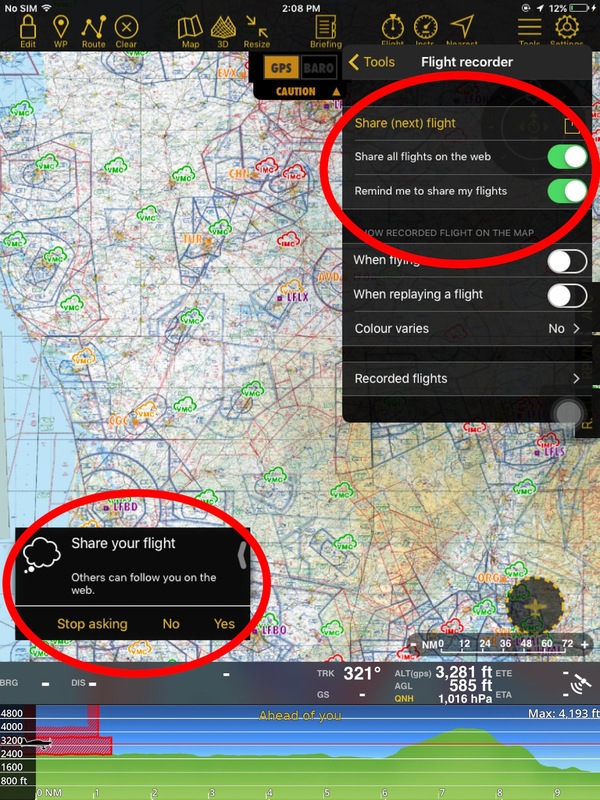 By sharing the link or share via social media buttons, you can share and give access to a specific flight only to the recipient. 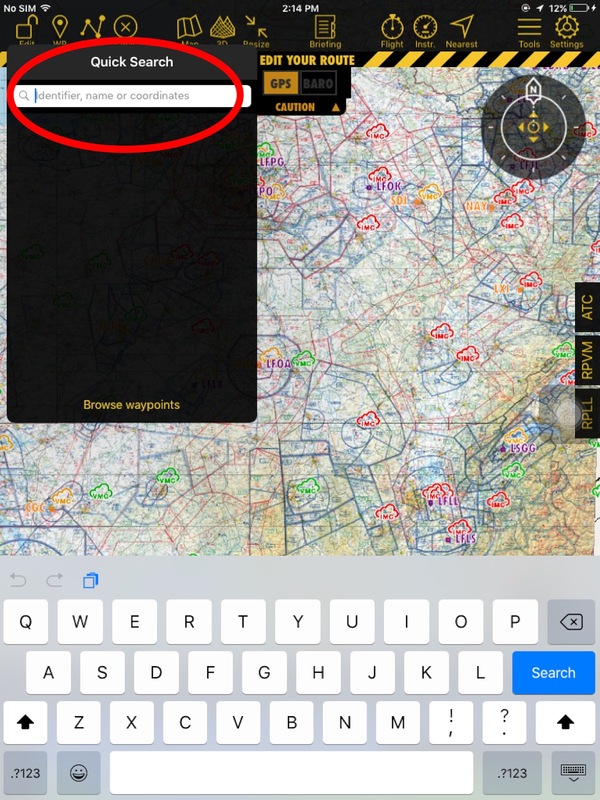 Remember to login to your Services account in order to share your flight. 2. Why am I unable to delete a route in my Services account through your website? 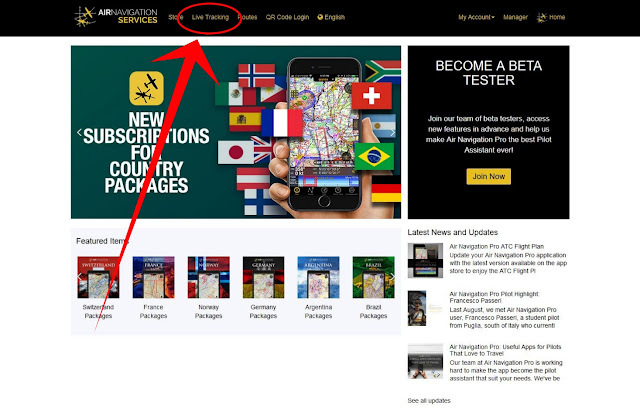 We removed it for while but with the website's latest update we've reinstated the delete button so you can now delete a route on the services site. 3. Is an ADS-B or Flarm hardware required to show traffic? 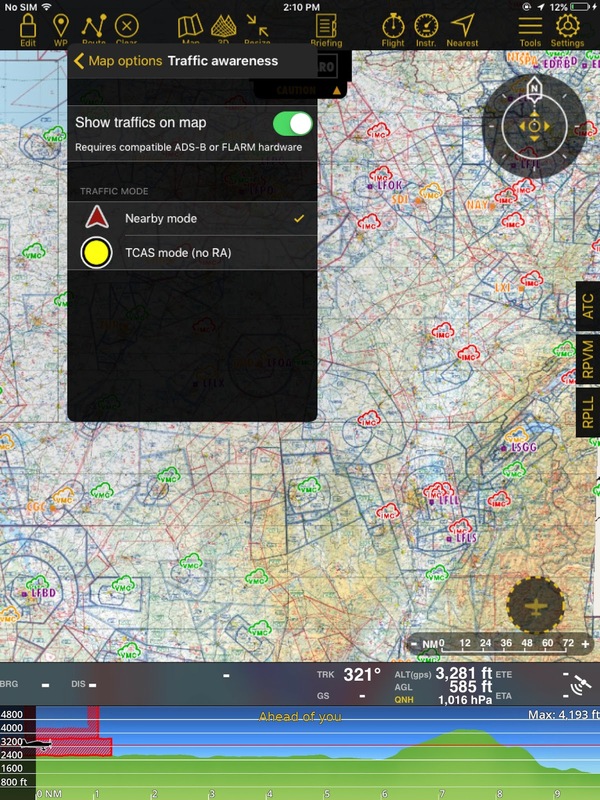 Yes, with a "Flarm" or "iLevil2" device connected, you can enable the traffic awareness feature and broadcast your position via the Air Navigation Pro traffic server. 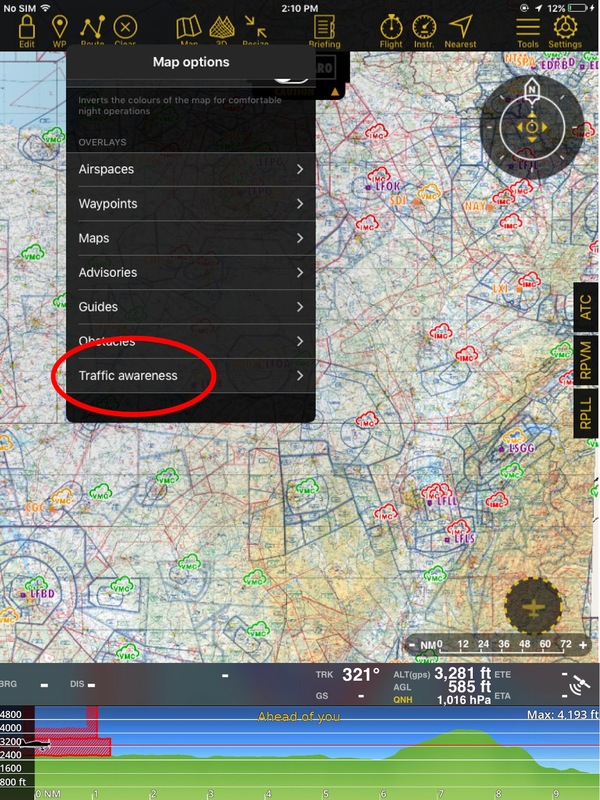 With this feature, Air Navigation Pro will show traffic information on your Moving Map, and alert you in case of a collision risk. To do so, go to Maps >> Maps Options >> Traffic Awareness >> enable the "Show Traffic on Map" option and the tap on TCAS mode. 4. How to use the "Street and Places search" charts? Once it is installed in your device, tap "Edit Mode" to start. By tapping "Waypoint and typing the country or place under "Quick Search", results will show at the bottom. 5. Why I cannot see the map in the background? In order to show the maps, go to Map Options >> Maps and toggle on. If it is not showing, make sure that you have successfully installed.